Our Forklifts are AWESOME! Let Us Prove it to You! Wayco Multi-Lift Inc. is Southwestern Ontario's Komatsu, Combilift, Aislemaster and Starke forklift dealer. We offer quality products featuring sophisticated safety features, superb drivability, ultimate comfort and low operating costs. Visit our facility in Kitchener, Ontario and we'll help you determine the best model, features and options for your needs. Book an appointment now! We also offer financing for your New (or Used) forklift purchase! Pallets & Walkie Stacker Forklifts are most commonly seen in warehouse, ideal for maneuvering in narrow aisle on production lines or industrial material handling applications. Electric Narrow Aisle forklifts can be equipped with either cushion or pneumatic tires. The cushion tired lift trucks are intended for indoor use on smooth floors. Electric forklifts can be equipped with either cushion or pneumatic tires and can be 3 or 7 wheel trucks. The electric cushion tired forklift trucks are intended for indoor use on smooth floors. These cushion forklifts are used inside on smooth dry floors for transporting palletized loads to & from the loading dock and the storage area. Pneumatic forklifts are most commonly seen in warehouse. They can be used either inside and used in virtually any type of application. 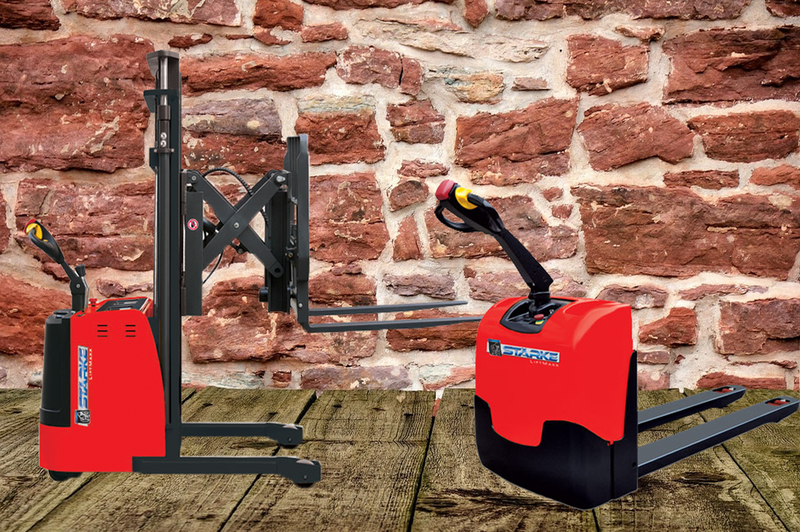 The LiftMaxx line of Manual & Electric Stackers, Reach Trucks & Order Pickers are designed for maximum maneuverability, optimized visibility, and more. Looking For More New Equipment?